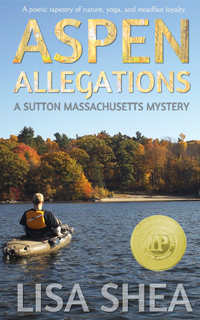 Morgan's life was settling into place with the gentle ease of a heron coming in for a landing on a still Massachusetts lake. Jason, the man she loved, was a serene presence in her world. Their evenings of kayaking on Manchaug Pond were the perfect counterpoint to her days writing and maintaining an online presence. The world was in balance. And then, in the shadowy depths behind Sutton's long-abandoned drive-in, Morgan stumbles across a shallow grave holding the skeletal body of a young woman. How long had the girl lain there? Why had nobody reported her missing? The only clue to the girl's identity is a beeswax Santa figurine, one of the first prototypes created by the artisans at Vaillancourt Folk Art. The trail delves into a world of prejudice and jealousy, of shattered dreams and lost hopes. Through it all, Morgan and Jason steadfastly hold to their vision - that they can at last bring justice and peace to this one girl's memory. 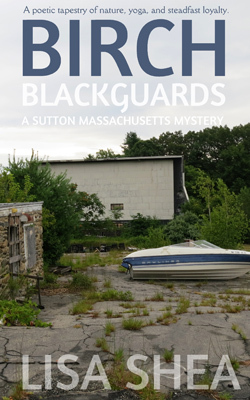 Birch Blackguards is the second novel in the Sutton Mass. 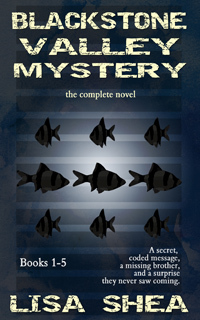 Mystery series. It is the winner of the 2014 IPPY Bronze Medal for Best Regional E-Book - East (covers everywhere east of the Mississippi River). This book references the true situation of Vladas Zajanckauskas. He was born in Lithuanian in 1915 and moved to the U.S. in 1950. In 2007 Vladas was sentenced to be deported from the United States due to entering the country with falsified information. The Simon Wiesenthal Center, The U.S. Justice Department, and other organizations seek to have him stand trial for his part in Nazi war crimes. However, as Lithuania refuses to accept him, there is currently nowhere to "send him to" and the U.S. has no grounds to try him here. 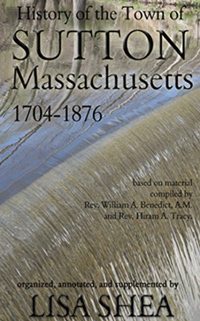 Therefore he remains in the United States, living in Sutton, Massachusetts, and has never faced a trial to determine his innocence or guilt.